Now, let's get to today's shot of Christmas inspiration! 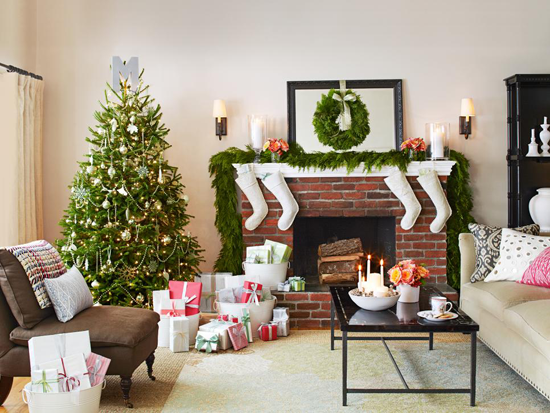 Now that Thanksgiving is over, it's time to deck the halls and fill our homes with holiday cheer! 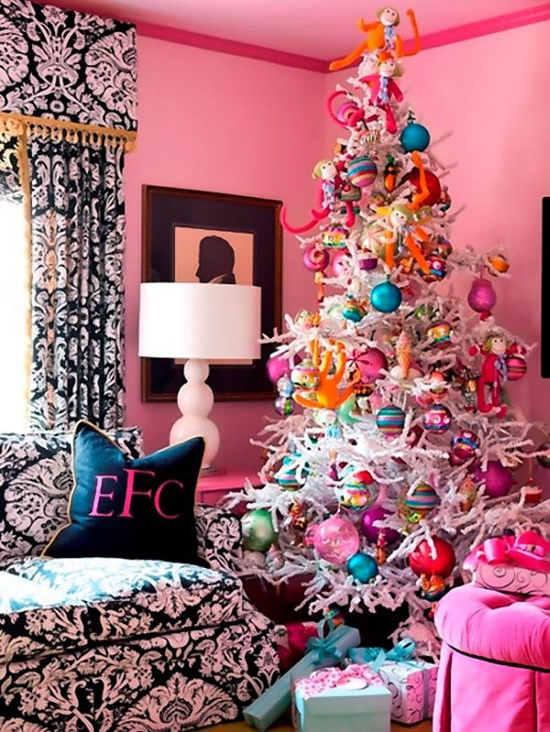 The Christmas tree is the centerpiece of most living rooms this time of year, and those trees can inspire us and fill us with awe. 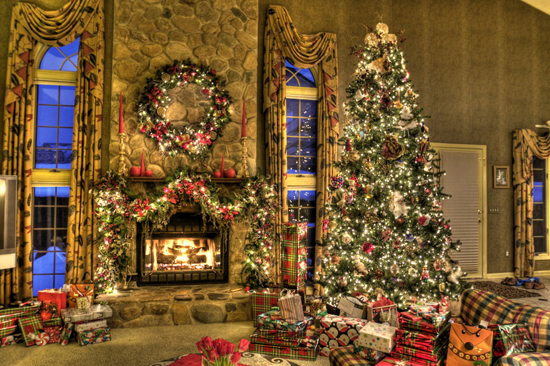 My Favorite Things has many fantastic products which include pine trees. Let's take a look at some festive projects that will inspire you to create designs with Christmas trees! 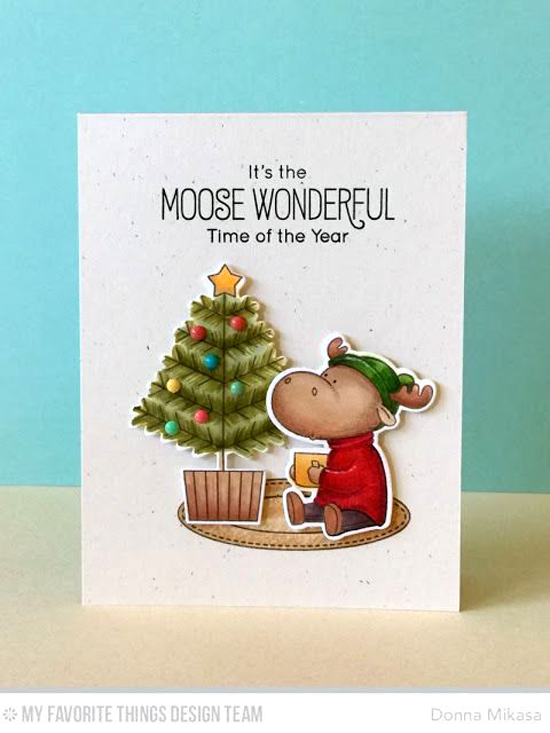 Donna features the adorable tree from the Merry Christmoose stamp set on this brilliantly colored design. 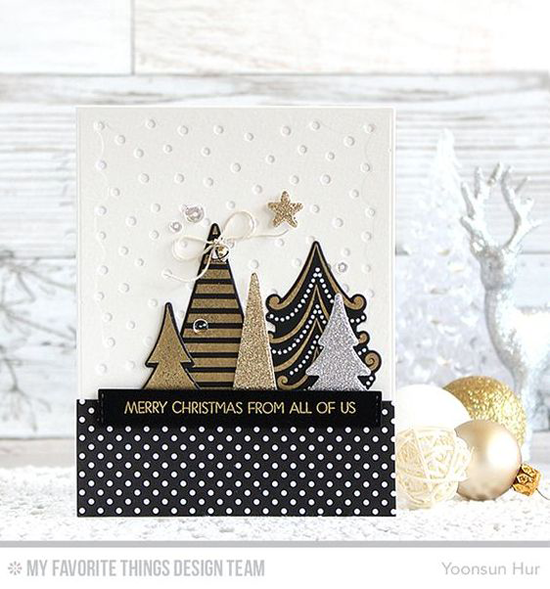 Yoonsun's stunning design features a sophisticated and festive color palette with the Oh Christmas Trees stamp set and Die-namics. Fir trees flank the pretty holiday house on Melania's card. She used the Winter Wonderland stamp set to create this lovely design. Torico trims the tree in aqua and pink on this holiday design featuring the Trim the Tree stamp set. A soft color palette adds a freshness to this charming design from Anna featuring the Santa's Elves stamp set. 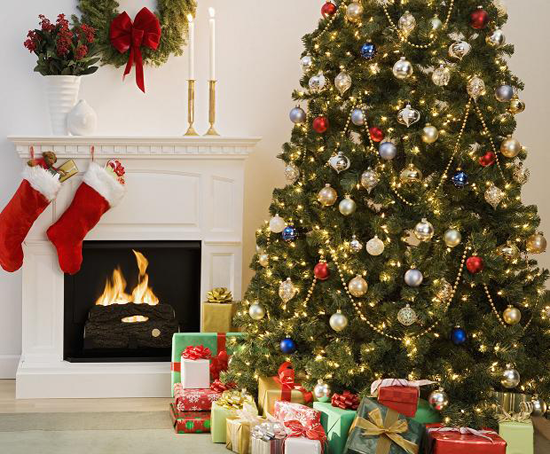 Before you go, take a look at a few of products that include Christmas trees or pine trees that you can buy at the My Favorite Things online store! Simply click on the photo to be taken directly to the product. If the product is currently out of stock, you can sign up for an email notification once it's back in stock! Here's to a creative (and festive!) weekend!